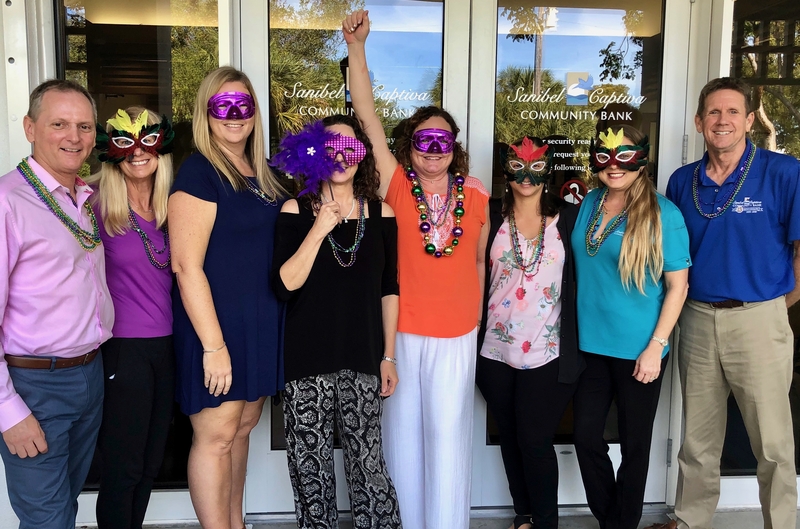 The team at San Cap Bank and CHR Executive Director Melissa Rice, second from left, are ready to celebrate Mardi Gras in style. Pictured (left to right): David Wright, Rice, Lynn Hoops, Sheri Prange, Colleen Seeger, Gabriela Bell, Mona Strasser, and Kirk Williams. The team at San Cap Bank and CHR Executive Director Melissa Rice, second from left, are ready to celebrate Mardi Gras in style. Pictured (left to right): David Wright, Rice, Lynn Hoops, Sheri Prange, Colleen Seeger, Gabriela Bell, Mona Strasser, and Kirk Williams. Three Sanibel businesses have stepped up as top tier “Cajun King” sponsors for the Community Housing and Resources seventh annual Mardi Gras fund-raiser taking place Saturday, Feb. 9. The Cajun King sponsors for the 2019 event include Sanibel Captiva Community Bank, Lily & Co. Jewelers, and Sanibel Catering Company by Bailey’s. CHR’s Mardi Gras is one of the island’s most anticipated and successful events, serving as the organization’s primary fund-raiser. 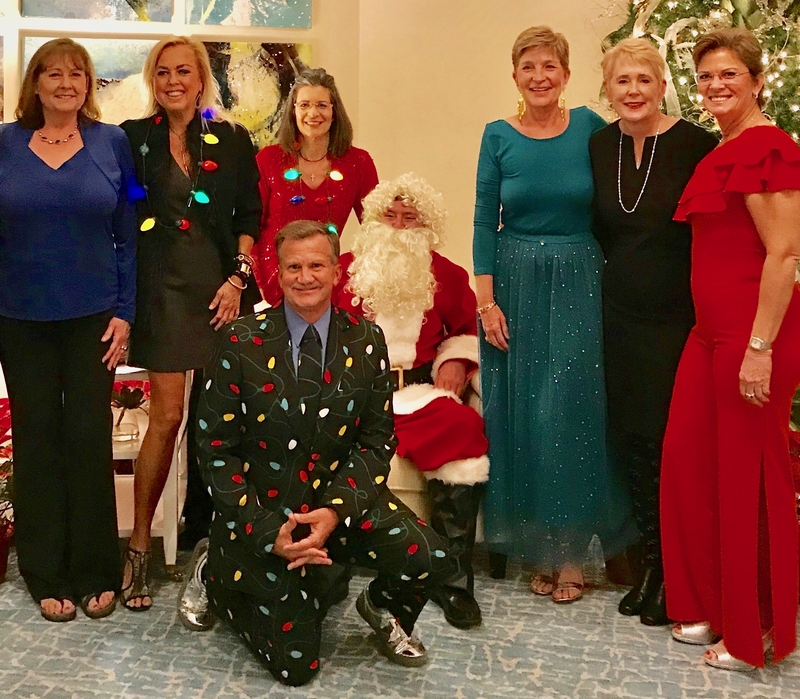 Proceeds from the event support CHR’s mission of providing affordable housing to families and individuals who work on and/or serve the community of Sanibel. Sanibel Captiva Community Bank has been a long-time supporter of CHR and is returning as a top tier sponsor for the fifth year in a row. SanCap Bank, as it is known to locals, is the only bank chartered on Sanibel Island, and takes great pride in being a community bank focused on personal service. Founded in 2003, the bank now has seven locations in Lee County. Lily & Company Jewelers joined this year as a Cajun King sponsor. The Sanibel based jewelry store has been providing a unique shopping experience since 2006 and is well known for its support of many community organizations. The jewelry gallery was voted “Coolest Jewelry Store” in the nation by INSTORE Magazine and has garnered additional national recognition as a “5 Designer Retailer” and “5 Star Store.” The store was also voted “Best of the Islands” 12 consecutive years in a row. 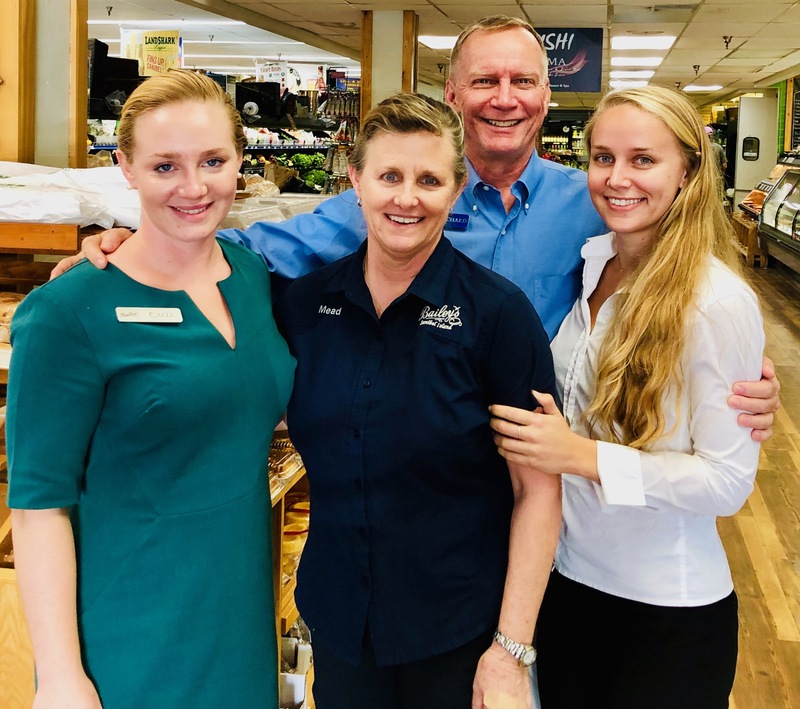 “We know how important CHR is for many of our island workers, so it is truly our pleasure to support this important organization,” said Karen Bell, who along with Dan Schuyler, owns Lily & Co.
Sanibel Catering Company by Bailey’s is another key sponsor once again this year. As many islanders and CHR supporters know, Bailey’s and the store’s owners, Richard, Mead, Calli, Bailie, and Dane Johnson, have been longtime supporters of CHR. Richard has worked with Community Housing and Resources since he first moved to Sanibel and has served as Board President since 2010. “We love CHR because our community benefits from having more working professionals and their families alongside other islanders,” said Johnson.